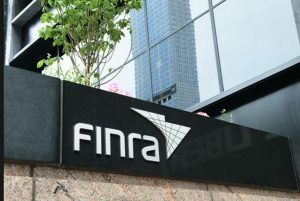 A Financial Industry Regulatory Authority (“FINRA”) arbitration panel has entered an award of over $276,000 against Quest Capital Strategies, Inc., of Lake Forest, California. The case centered around a customer’s complaint that Quest Capital violated federal securities laws; Virginia securities laws; the Florida Securities and Investor Protection Act; breached its customer contract; breached its fiduciary duty; committed fraud; and was negligent in its sales of promissory notes of the Woodbridge Mortgage Investment Funds 1 and 2 to the customer. Last fall, Robert Shapiro, the CEO of Woodbridge Group of Companies, agreed to pay $120 million to the Securities and Exchange Commission to settle allegations against him related to the Woodbridge Group’s alleged $1.2 billion Ponzi scheme. Prior to that settlement, the SEC had already brought charges against five individuals and four companies for unlawful sales of the Woodbridge Group of Companies investments to main street investors. According to SEC allegations, Woodbridge and Shapiro defrauded more than 8,400 investors in unregistered Woodbridge funds, based on a business model built on lies. According to the SEC complaint, Woodbridge marketed itself as issuing loans to purported third-party commercial property owners that were paying Woodbridge between eleven and fifteen percent annual interest for “hard money,” short-term financing. Woodbridge then promised to pay investors five to ten percent interest annually, according to the allegations. The claimed high-interest loans to third parties were actually in large part made to Shapiro-owned companies that had no income and never made interest payments on the loans, according to the complaint. The FINRA Award against Quest Capital found Quest liable and awarded the Claimants $235,000 in compensatory damages and $41,226.46 in costs. If you or someone you know lost money as a client of Quest Capital Strategies, Inc. due to unsuitable, misrepresented, or unauthorized transactions, please call the Frankowski Firm at 888.741.7503 or fill out this contact form.